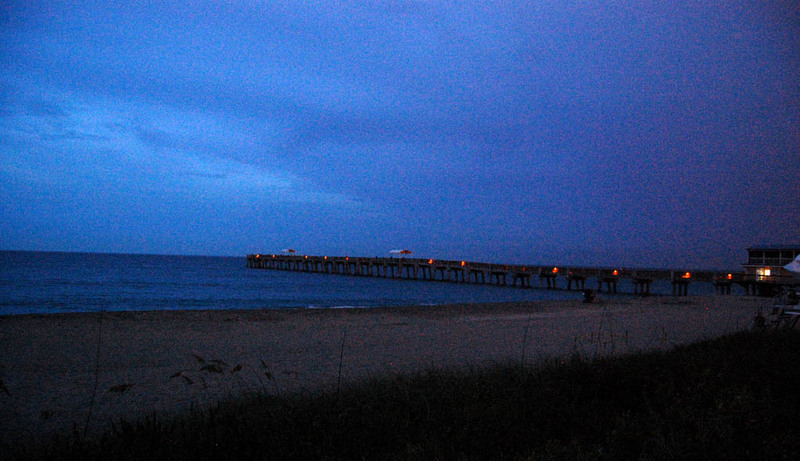 I mentioned last month that my wife found the Palm Beach County Full Moon Drum Circle “pleasingly primal” and promised to take her back this mont The Ultimate Junior Golf Guide h. We were accompanied by D-In-Law Sarah and 5-year-old Grandkid Malcolm. The radar looked iffy, but we decided to give it a shot anyway. The closer we got to the Lake Worth Beach, the darker the clouds looked. When we got to the parking lot, it was spitting rain. After some consultation, the decision was made to set up the drums in a covered pavilion, even though it doesn’t allow for a true circle and the acoustics aren’t as nice as on the beach. One of the drummers explained that the circle lets the drummers’ energy feed off each other and being able to see everyone makes it easier to keep the beat. The light was better than on the beach, where there is NO light, but it was still one shade less dark than the inside of a whale’s belly on the ocean floor. I gave up shooting stills early on when it became obvious that folks beating on drums were going to be blurry. Not artistically blurry. Ugly blurry. 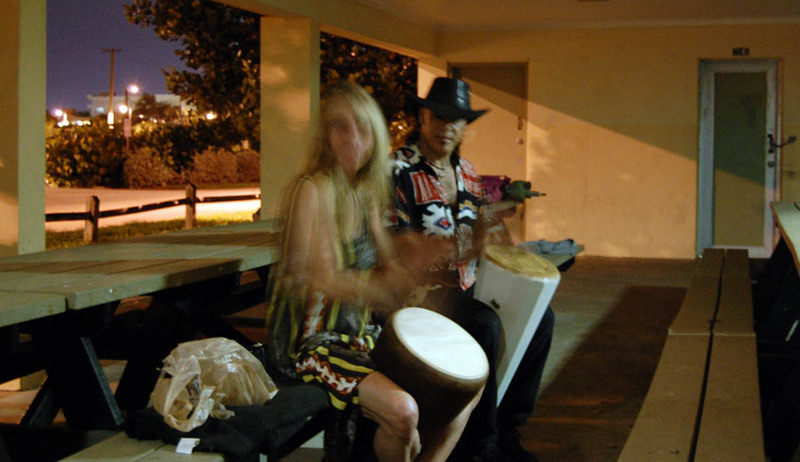 How did the 5-year-old like the Drum Circle? So, how did 5-year-old Malcolm like it? He boogied to the beat from a branch in a nearby tree with as many as seven other kids. Drumming was a side benefit, but he was perfectly happy tree-climbing for close to two hours. Looks like this is going to be a regular entry on our schedule. I may give up on trying to shoot it, though. thanks for the links… this was fun to watch. our drum circle out here in the southeastern deserts (in addition to our monthly jams) has several outdoors events including our upcoming campfire drumming at a local state park where we get a rather large bonfire going and things get downright tribal for 3 hours. great fun all of it. your observation in your article that Sometimes you have to experience life instead of covering it is an important one. i would take that statement to the next level by saying that no one ever learned how to ride a horse by watching or talking or reading about it — you have to climb into the saddle to even understand it. for a long time. as wonderful as paper and writing are, a lot of things simply can’t be understood except thru emersion. drum circles also qualify for this truism. 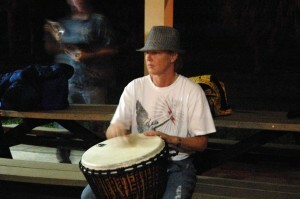 i hope you’re able to get a drum in your hands frequently as this stuff can be very therapeutic.